The Berry Schools write to Miss Siewert to thank her for the Sunday School papers and to inform her that there is no longer a need for more literature. 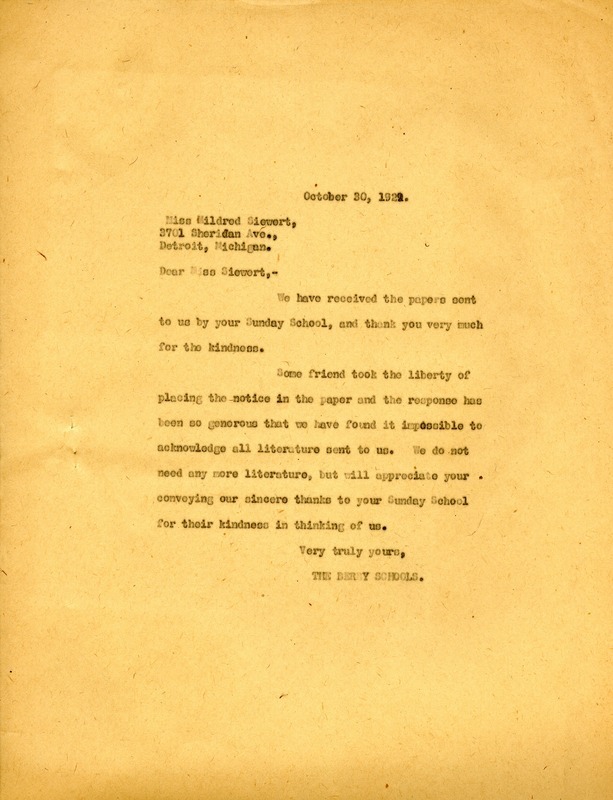 The Berry Schools, “Letter to Mildred Siewert from the Berry Schools.” Martha Berry Digital Archive. Eds. Schlitz, Stephanie A., Meg Ratliff, Chelsea Risley, et al. Mount Berry: Berry College, 2012. accessed April 21, 2019, https://mbda.berry.edu/items/show/10983.